Great '60s looks, modern build quality and five strings of range. 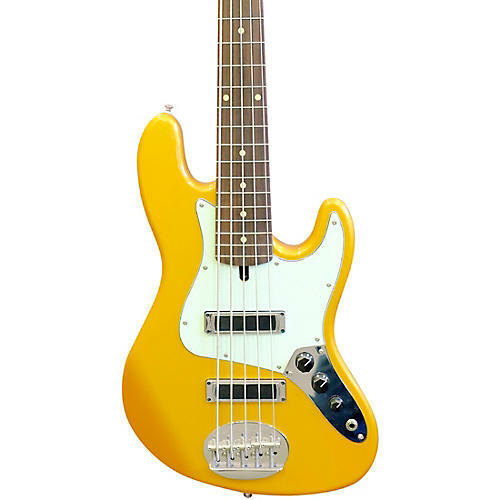 The Lakland Skyline J-Sonic electric bass offers timeless good looks, tone and playability. It features a 35-in. scale flat-sawn rock maple neck with graphite reinforcement for ultimate stability. The rosewood fretboard is loaded with 22 frets and a 10–13 in. radius with a delrin nut. Electronics are handled by a pair of Lakland Chi-Sonic pickups with simple volume and tone controls mounted to an ash body.